[Want to Sell] Wanna to sell my whole backpack. [WTS] Wanna to sell my whole backpack. Thread: Wanna to sell my whole backpack. Wanna to sell my whole backpack. 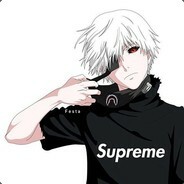 Hello, so I'm recently quiting TF2. I don't wanna leave all my items just laying around in my backpack, so I decided to sell them.